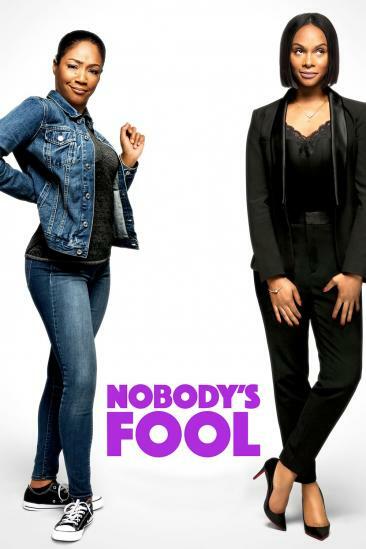 I was unexpectedly delighted by “Nobody’s Fool,” cinema powerhouse Tyler Perry‘s recent foray into the R-rated, raunchy romantic comedy market. It wasn’t the film I expected but I laughed — a lot — at some truly inspired gags. This film is an all-over-the-place mess, but at least it’s a charming one. When wild child Tanya (Tiffany Haddish) is released from prison after serving a 5 year sentence, she seeks out her uptight advertising honcho sister Danica (Tika Sumpter) to help get her back on track. Tanya moves in, and their polar opposite personalities soon collide with disastrous — and often very funny — results. But when Danica begins to reveal more details about her long distance boyfriend, her sister thinks she’s being catfished and sets out to prove her mysterious dream man is a big phony. The film is at its best when Haddish and Sumpter are together, playing off each other with a yin and yang balance of heart and humor. Haddish lights up every scene she’s in (which isn’t nearly enough), and delivers some of the film’s funniest one-liners. Once the film quickly changes course into a by-the-book romantic comedy, it feels a little lost. And when it strays into straight drama, it really begins to drag. I laughed a lot at the jokes, which are mostly terrific, and the expert line delivery from the entire cast. Whoopi Goldberg hilariously steals every scene she’s in as a stoner mama, and the comedically talented Haddish delivers another strong dose of what she does best. It’s a blast to see her doing more bawdy comedy a’la “Girls Trip.” The supporting cast, including Omari Hardwick, and Amber Riley, are strong too. These are characters you’d love to hang out with in real life. It becomes obvious from the film’s abrupt finale that Perry couldn’t figure out how to end the story, but it doesn’t matter much. This is a delightful romantic comedy with a few lively surprises and hearty laughs.